Hear every detail from your TV or stereo without disturbing others! Televisions never exactly had great-sounding speakers, and today’s TVs are thinner than ever before. Which means their speakers are smaller and worse-sounding than ever before. “What did he say?” is now an all-too-common reaction when listening to modern televisions. You could try using headphones—but those cumbersome wires are so annoying, it’s just not worth the hassle. You need the Wireless Headphones from ION. These are the perfect solution to getting great sound from your TV. You’ll hear every detail in rich, lifelike high-fidelity sound. And… they’re wireless! 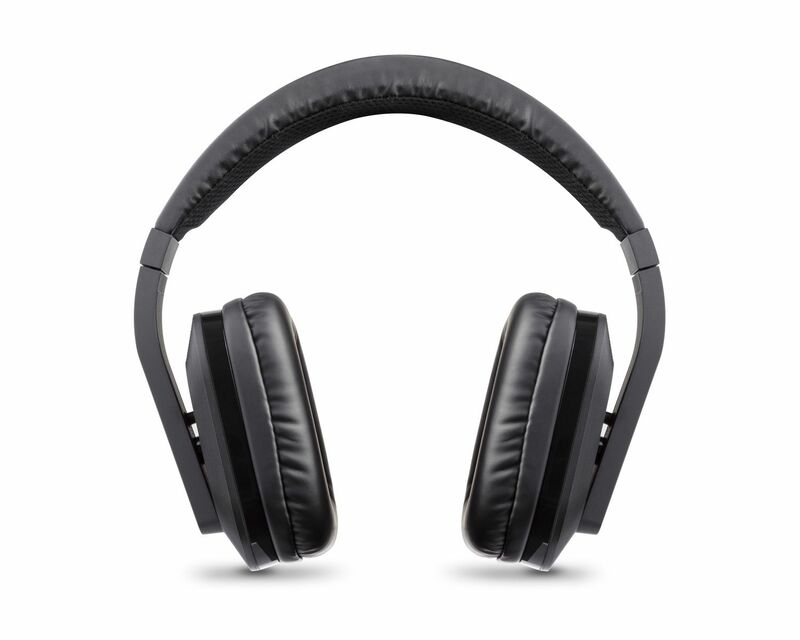 And even if you have a great-sounding stereo, you still want the Wireless Optical Headphones, for those times when you don’t want to disturb the whole house with loud music. Simply connect the wireless transmitter to your unit’s optical or Aux input and the audio is sent by digital wireless directly to the ION headphones. No cords, no wires, no fumbling. Just clear, rich, high-definition sound. The internal battery lasts for up to 10 hours on a single charge, so you can binge-watch an entire season in one sitting. When you’re done, just place them on the recharging stand and you’ll all set to go the next time. Hear every detail in your TV shows, movies or music—without disturbing others!